Feel right at home on the four decks of the TC Diamond. On the sun deck you will find seating arrangements for you to relax on as well as a sun awning. 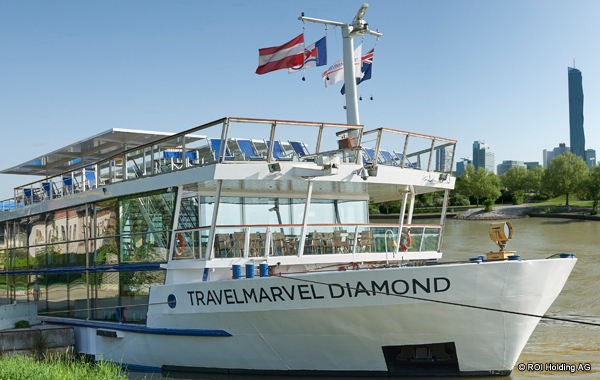 On the Danube deck you are able to enjoy all comforts of your floating hotel like hair dresser, Internet café, library and the lounge/bar. On the Rhine deck you will find the reception desk/area and the board shop as well as the well-lite and classy restaurant. You will find a gym on the Main deck at your disposal. 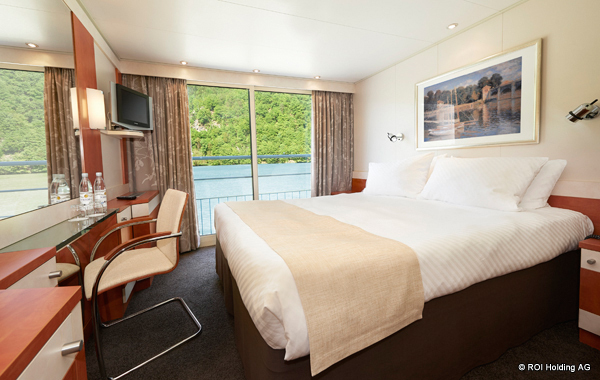 The cabins on the Rhine and Danube deck are equipped with a French balcony. The cabins on the Main deck have large panoramic windows. The TC Diamond offers space for up to 170 passengers in 85 comfortable cabins. The outer cabins (13 m²) on the upper and middle decks offer a double bed with floor-to-ceiling panoramic windows which open to a French balcony. The comfortable and approx. 20 m² large suites also have a floor-to-ceiling panoramic window and a French balcony and are additionally equipped with a sofa, armchair and table, as well as a spacious marble bathroom. The outer cabins (13 m²) on the main deck are equipped with portholes that are not openable. All cabins are equipped with bathroom with shower / WC, cupboards and shelves, writing / dressing table with chair, satellite TV, air conditioning, telephone, hairdryer, safe and 220V sockets or 110V sockets in the bathroom. Events and on-board program for example. Eg pirate evening, crewshow, quiz etc.